Whether you’re a home or business owner, snow removal is essential to ensure your property is accessible and safe. While many people tackle this task themselves, it can be arduous and time-consuming—not to mention potentially dangerous. 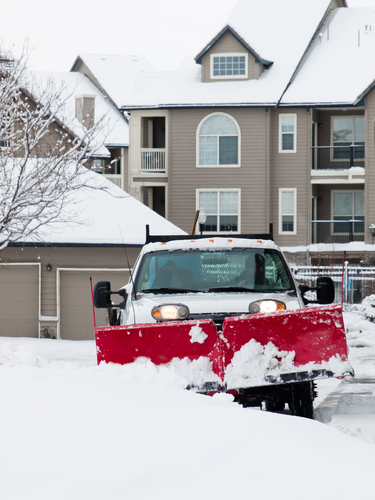 Here are three reasons to consider hiring a snow removal professional this winter instead of doing it yourself. Snow removal is crucial to the safety of others. If you own a business, it’s your responsibility to ensure employees are safe coming in and out of the building and parking area. You’re also responsible for keeping the area clear for customers and visitors. Failure to do so could result in a lawsuit. At home, keeping the property clear is equally important, particularly if you have elderly or very young family members who could slip and sustain severe injuries. The work of removing snow and ice could put you in danger as well. Although shoveling can be great exercise, the combination of exertion and extreme cold can be deadly for those with conditions such as respiratory or cardiovascular problems. Also, you could fall and break a bone or bend awkwardly and throw your back. It isn’t worth the risk. Professionals have the strength and gear to do the job without injury. Snow removal equipment ranges from shovels to bulldozers, much of which is expensive to purchase. Snow removal equipment is particularly pricey if you have a large property requiring heavy-duty machinery. Also, while you can buy supplies such as salts and sand yourself, professionals often have access to bulk discounts not available to the public. Don’t burden yourself with DIY snow removal this winter. Instead, trust the professionals at Columbia Tree & Lawn Service to do it for you. Based in Howard County, MD, this full-service landscaping company provides a range of services to keep your property safe this winter, from snow removal to tree trimming. They also match any competitor’s written estimate, so you can rest assured you’re getting the most affordable price. Call (410) 740-5444 to speak with a friendly team member or visit the website.